Last year's winning team: (from left) Constant Montpellier, Peter Doucet, Jesse Pauley, Ty Fidler, Benjamin Bousquet, Alex Fedak, Steve Robillard, Sergio Almeralla, Juan Diego Zuluaga and Morgane Echardour. Skating a 24-hour relay event is not easy, no matter how strong you are. “Even with nine skaters, which is how many we had, it is difficult for a team to go full out for 24 hours,” said coach Bill Begg, summing up the experience of his Bont team at the 24-hour event in Le Mans, France. Nevertheless, 24-hour events are favorites with diehard skaters, hundreds of whom are headed for this weekend’s 24h Roller Montreal in Quebec. As of Friday, 62 teams were signed up along with 27 solo skaters, 8 duo skaters and 6 skaters in search of a team. The goal of the race is simple: to complete as many laps as possible within 24 hours. The skaters loop the Gilles Villeneuve F-1 Racetrack on Notre-Dame Island in Montreal’s Jean-Drapeau Park. Most skaters compete on teams, which can include as many as 10 skaters. Only one team member skates at a time. The race starts at noon Sunday and ends on noon Monday. Last year’s winning team, Il Peloton, covered 685.72 km (426 miles). And they did it in just 21 hours. The race was cut short by three hours due to torrential rain. 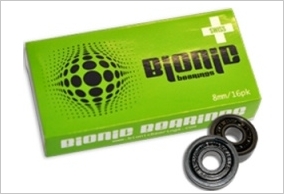 A year earlier, with the race going the full distance, the winning team, Apex-Il Peloton, covered 813 km (505 miles) while the top solo skater completed 531 km (330 miles). This year no rain is expected, so the distance records may fall, Clement says. Once again, the team to beat is Il Peloton. On paper, the team looks very strong. It includes Steve Robillard, Sergio Almeralla, Peter Doucet, Alex Fedak, Juan Diego Zuluaga and Mathieu Giroux, a member of Canada's longtrack ice team. Another strong team member is Constant Montpellier, a former jockey who was aboard Kentucky Derby winner Mine That Bird in his first two starts. Challenging Il Peloton will be two teams: Shift Racing and Rocket de Antoine Laoun. Rocket includes: Jérôme Comtois-Urbain and Marc Bélanger, two of the top skaters from last year’s Big Wheel team; and two of the top skaters from last year’s Roazhon Roller Team from France, Michael Beddiaf and Frank Sannier. The team also includes 15-year-old Christopher Fiola, who won both the Roller Montreal and Canada Day marathons earlier this summer. Shift Racing is the new name for Schankel-Kallisto, the team that finished second, four laps behind Il Peloton, in last year’s 24h Roller. This year’s Shift team includes Jade and Jesse Pauley and veteran Hernan Diaz from Kansas. 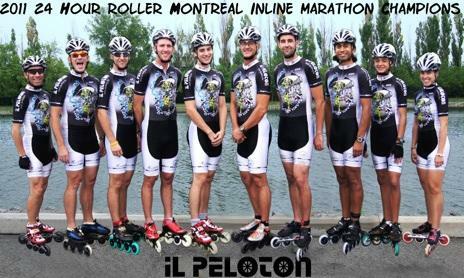 The 24h Roller Montreal has grown into a 4-day event, starting tonight with a group skate and continuing Saturday with sprint races on the Gilles Villeneuve F1 track, across from the beach at Park Jean Drapeau. The 24-hour relay is a Major event in the 2012 National Roller Cup. The Inline Planet will post updates from the racecourse on Sunday and Monday.